When the tall plumes of Red Yucca brighten up the Dallas landscape, it’s time to break out the mojitos: summer can’t be far behind. We’ve had a long, cool, graceful spring filled with the most beautiful roses in years. But today’s crushing heat and humidity signal the end of May, the last days of the school year, and the start of sun tan season. Gardening just doesn’t get any easier than Red Yucca. You mix in expanded shale into your clumps of clay soil (for better drainage), plant the yucca, and watch its red blooms for 30 (THIRTY!) Weeks of the Year. Then you trim off the spent flowers at the end of the season. After yucca is established, you don’t even water it; the plant lives off rainfall. Poor drainage is its only downfall. No wonder TXDOT plants these in large groups along the highway. Whizzing along at 70 mph, a large swatch of Red Yucca is breathtaking. The one-inch bell-shaped flowers cluster up and down the stalks, rising 4 to 6 feet above the ground. Flowers are full of nectar and irresistible to hummingbirds. 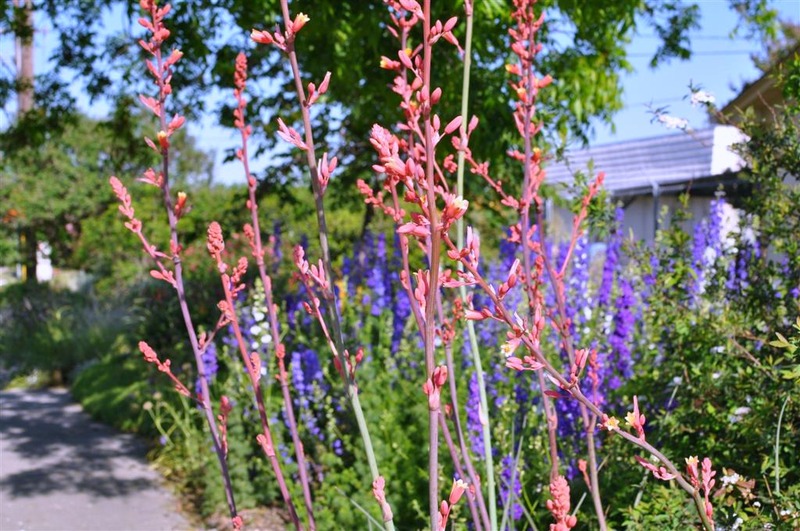 The most common flower color of Hesperaloe parviflora is the lovely coral outside, with pale yellow on the inside. A solid yellow selection is also available. 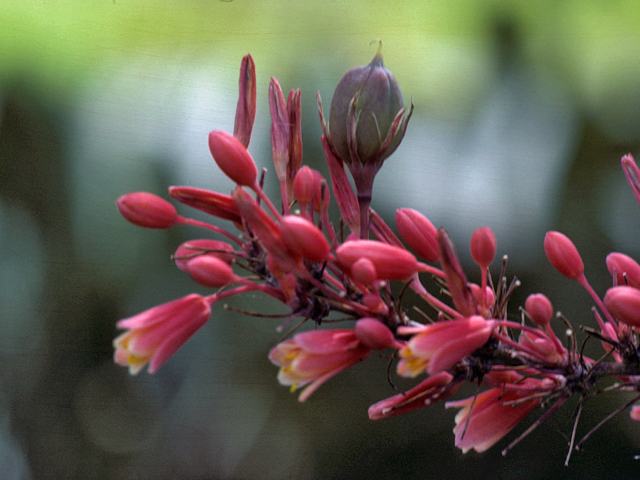 Red Yucca is a great choice to use around swimming pools and patios. 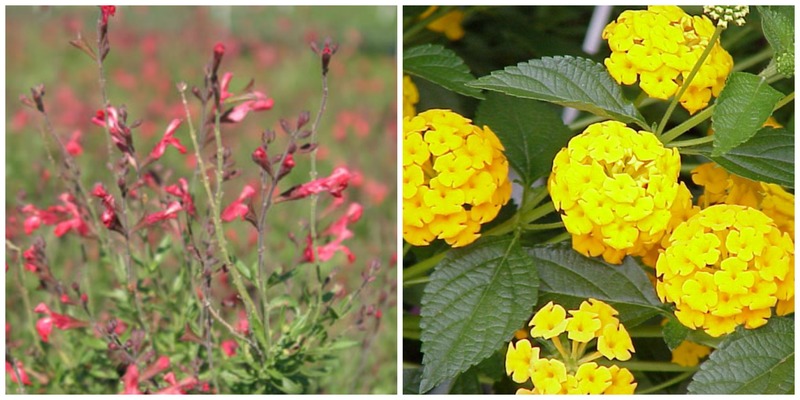 Combine it with ‘New Gold’ lantana to pick up the soft yellow insides of the bloom or Coral Autumn Sage to repeat the color of the yucca’s flowers. Add a few grasses and you’re ready for a carefree landscape. Mix me another mojito and pass the sunscreen. Posted in Spring, Water Wise and tagged Dallas Perennials, Perennials for Dallas, Red Yucca, WaterWise gardening. Bookmark the permalink.